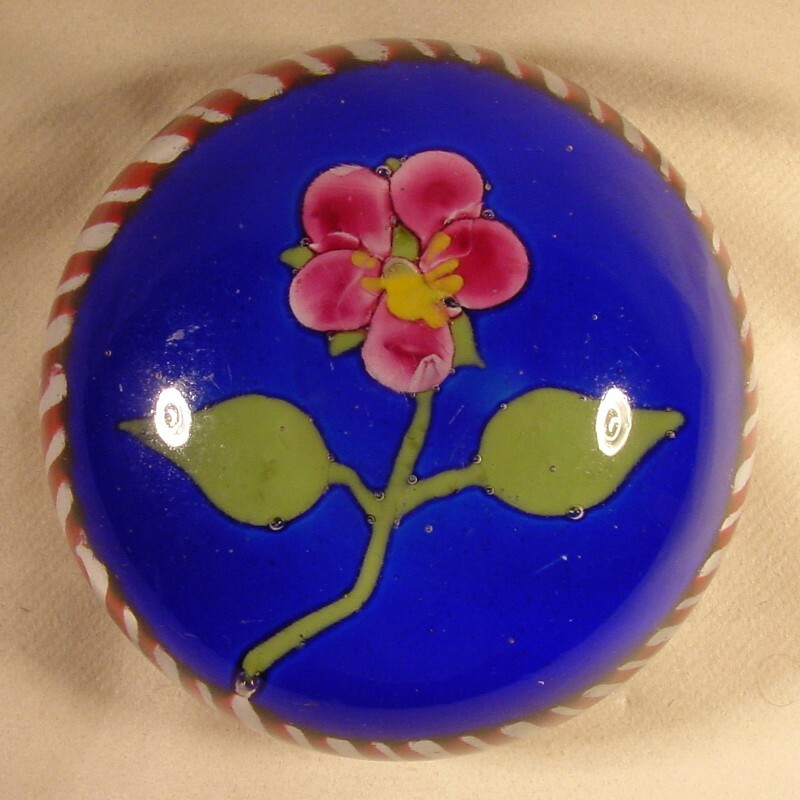 Antique magnum Val Saint Lambert (or Chênée) Pansy paperweight on a beautiful blue ground (c.1900-1914). The Pansy has a green stem with two green leaves and a heart with 5 petals in an intense pink color that degrades to light-pink to the edges. An elegant white-red torsade creates the finishing touch. Hollow polished pontil and typical base groove. Size : 103mm Diameter, 56mm High, Weight : 814 grams. Collection and Photograph : Eddy Schoofs, Belgium.